Valentine’s Day dinner | Tales From The Ipe! Valentine’s Day fell on the 3-day Presidents Day long weekend this year, which was nice. Sunday night, we dropped off the kids to sleep at their grandparents’ place, and we went out to eat. We decided early on to celebrate 15 years at Sophie’s Bistro in Somerset. Delicious French food, as always. Afterwards, we raced to two different theaters to attempt to watch Deadpool on opening weekend. Yes, we were successful on our 2nd attempt, at a theater in our town. So that worked out well. 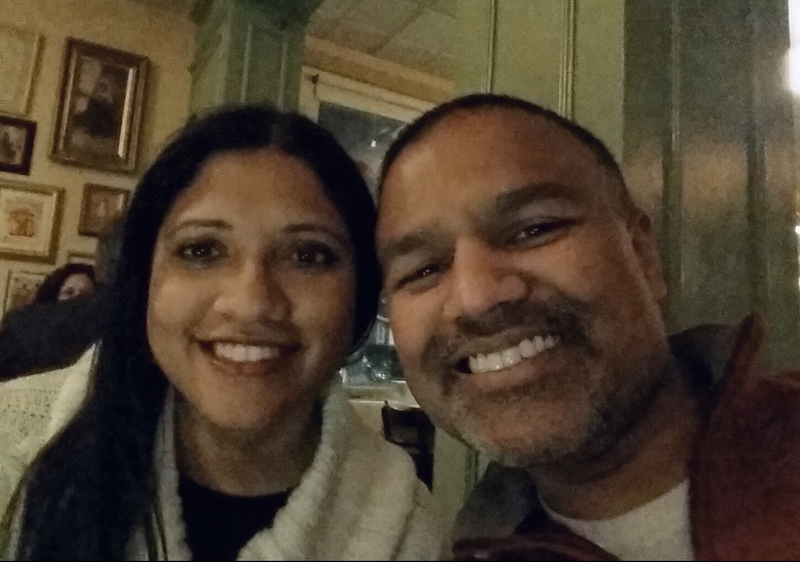 This entry was posted in Personal and tagged french food, namita, sophie's bistro, valentine's day. Bookmark the permalink.